On Friday, June 13, 2014, we had the honor of speaking at the Sixth Annual Twilight at the Treehouse, which benefits the Liberty Hospital Foundation. Each year, one program or service within the Foundation is highlighted. This year, the Kyleigh’s Gift Fund was selected. The event took place outside on the hospital grounds and included a wine toss game, photo booth, basket raffle and a delicious BBQ buffet. We really had no idea what to expect, as we had never been to the event before, so we were quite blown away at the 300+ people in attendance. It is by far the largest audience that we have ever had in sharing Kyleigh’s story. The event raised over $50,000 for programs and services within the Liberty Hospital Foundation, with $1,300 going directly to the Kyleigh’s Gift Fund courtesy of the wine toss proceeds! That is enough to fund 185 sleep sacks … and give us a jump start on the 1st Annual Kyleigh’s Gift 5K/3K!! “When Rodger and I created the Kyleigh’s Gift fund just over two years ago, I had people ask me why we named it ‘Kyleigh’s Gift.’ At the time, I honestly did not know. We wanted to use her name without it sounding too formal, but needed another word to go along with ‘Kyleigh.’ We were receiving gifts from many people in the form of food, cards and flowers, so when I thought of the word ‘gift,’ it just fit. A gift is something that is freely given to you, or something that you give to someone else. Our daughter, Kyleigh Elizabeth Weller, passed away at birth on April 5, 2012. She is by far one of our greatest gifts. Kyleigh teaches Rodger and I, along with her older brothers, about love and loss on a daily basis. Our marriage was made stronger, when some told us it would fall apart, because of our daughter. Our boys, Oliver and Garrison, learned a hard lesson of life when their sister died. Lessons of love, loss and hope have made them strong in character and will stay with them their entire lives. Kyleigh is a gift to our family that we carry in our hearts, always. Kyleigh gave the gift of life. Through the help of the Midwest Transplant Network, two of Kyleigh’s heart valves were donated. While we do not know for certain if her heart valves have given new life to someone else, we feel confident that they were a gift to someone either through donation or research. Kyleigh’s giving of a part of her body has taught us to be more aware of organ and tissue donation. I am still amazed to this day that my baby girl was given the opportunity to possibly save someone else’s life when she never took a breath herself. Three months ago, Kyleigh started giving the gift of SleepSacks to all newborns at the Birthing Center here at Liberty Hospital. They truly are a gift from Kyleigh, as each SleepSack bears her name. A sleep sack is a wearable blanket whose purpose is to replace loose blankets in the crib. They encourage safe sleep practices for newborns and raise awareness regarding SIDS and infant death. Just a few weeks ago, Rodger and I received a message via social media from a new Dad. These are his words, “My wife and I would like to thank you for the gracious gift of the sleep sack. Our daughter slept very well our first night home. It’s an amazing thing that you all are doing.” Attached to the message was a picture of his daughter, all warm and snug in her Kyleigh’s Gift sleep sack. I was surprised to receive the message, especially since I do not know this family. Then I was speechless and brought to tears. The reality set in that this is really happening. Real families are receiving a gift of comfort, warmth and peace because of my baby girl. I was touched to receive this message of thanks and realized that others are being touched by receiving the gift of a sleep sack. 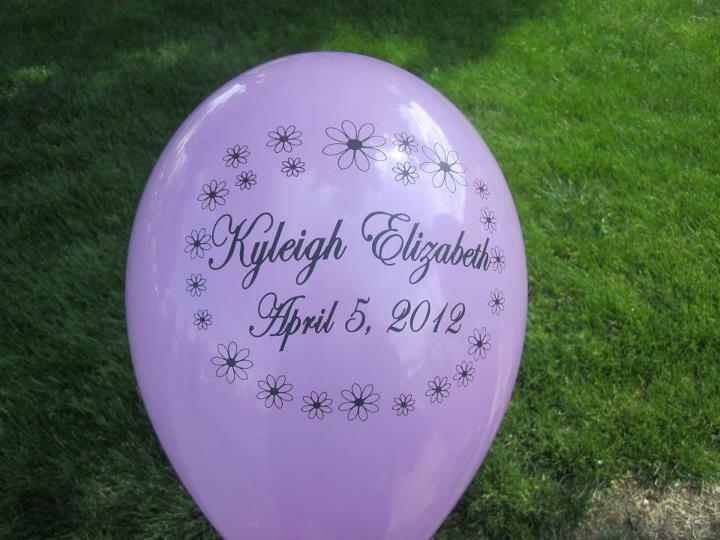 When we began the Kyleigh’s Gift fund, we knew that we wanted something tangible to come out of it. We had no idea that in just two short years, the fund would grow to what it is today. Our hope is to be able to continue the SleepSack project for many years to come. We would also like to find a way in the near future to provide support to families who go home with empty arms, just as we did. The first annual Kyleigh’s Gift 5K/3K to be held on October 11 of this year is one way that we can keep those hopes and dreams alive. The run/walk will benefit the SleepSack program and a candlelight service to recognize National Pregnancy and Infant Loss Day will conclude the evening. Another way to describe a gift is through a special ability or unique talent that one might have. Some of us refer to this as a spiritual gift given to us by God. At our church, we are often given the opportunity to take a survey that helps us identify our Spiritual Gifts and then we are directed into an area of ministry where those gifts can be used. We have been told by some that they went to church for the first time because of Kyleigh. Others began to dig deeper into their faith and reached beyond themselves to bring others into their faith because of Kyleigh. Rodger and I believe that Kyleigh played a vital role in reconciling members of our extended family. She has made relationships stronger, both inside and outside of our family. Friendships have formed that never would have because she was given to us. We have a bond with our doctor, Mary Clare Reardon, and one of our nurses, Laurie, which is so special that honestly, it is hard to describe. Because of Kyleigh, we have been given the opportunity to minister to other couples in our community who have lost a child. From these examples, I would say that Kyleigh possesses many Spiritual Gifts that have and continue to touch the lives of many, both near and far. “So why the Foundation then? Memorial funds are often times established in banks or are self-managed. It’s a good question to ask why we made the choice to setup Kyleigh’s Fund with the Liberty Hospital Foundation versus some other route. By doing so, we knew that there would be boundaries around how the resources of the fund would be managed. We knew that the money that we and others gave would need approval by one or more people when the time came for the money to be dispersed, but quite frankly, we knew nothing of the Foundation. For a very good reason, in our darkest hour, we decided it best to trust someone. And that first person was Mark. As Leann mentioned in the days following Kyleigh’s death, people wanted to help. They sent cards, gave food and provided condolences. Sometimes when people don’t know what to do they just send money. We are not in the position to need money, so instead we decided to create a placeholder to do some eventual good with these gifts. I placed one phone call to Mark over the following days and he took the time to listen to a grieving father and understand what we wanted, and more importantly, he knew exactly what to do. He gave us the time and space for the initial pain to pass while listening and working with others at the hospital in our absence to find a way to make use of the funds in a way that would both honor Kyleigh and bring us joy. The scar of loss will never heal, but seeing Kyleigh’s name on printed material brings a measure of satisfaction that is very hard to explain. Leann and I are missions minded people. We believe this is part of our calling. Kyleigh’s fund is a mission based fund managed by the Foundation, but it’s certainly not the only one they manage. We are here tonight because people before us had a vision to create an organization that would align the willingness to act, with community need, and the skills and talents required to change the world … right here in Liberty. We are here because of people like yourselves that gave in support of this vision. For years, Leann and I have given to mission organizations like Samaritan’s Purse, World Vision, various disaster relief efforts managed by UMCOR and certainly the work of our local church. What I never saw until Kyleigh showed me was the apparent need right here in my community. 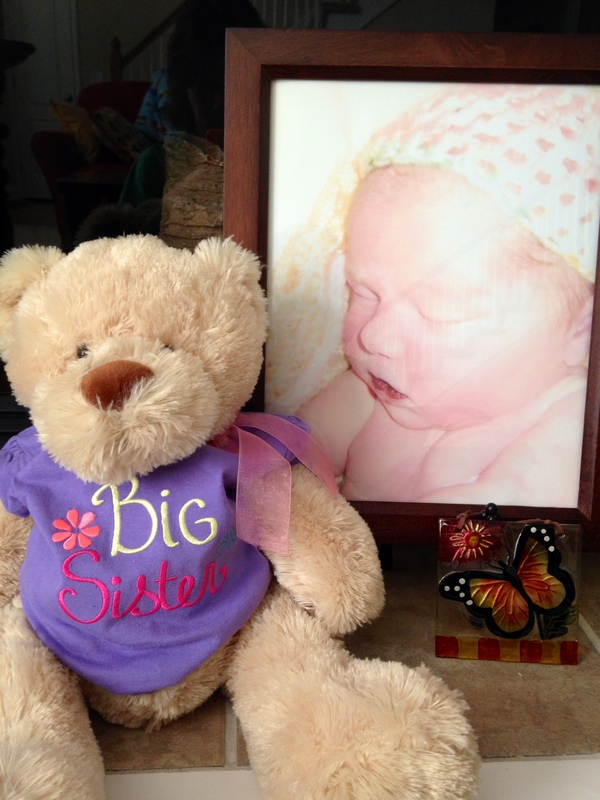 Our first pregnancy ended in miscarriage at 11 weeks gestation. The due date was December 15, 2006. By the time my due date came, I was almost 12 weeks pregnant. I remember going out to lunch with my mom on that day. It was a bittersweet day as we prepared for Christmas, were excited for a new baby and still sad over the one we had lost. My nerves were especially on edge as I neared the 12 week mark in that pregnancy. I was right around the same point where I had miscarried and I thought if I could just get past 12 weeks, everything would be okay. I carried this baby to term and he just turned seven last week. In the early years of his life, I often thought about how if I had not miscarried, I would not have my baby boy. In December of 2008, I found out I was pregnant just a few weeks before Christmas. This was my third pregnancy. Just a week later on December 18, 2008, I miscarried at 5-6 weeks gestation. We never did have a definite due date, but this baby would have been due mid-August 2009. When August 2009 came, I was almost four months pregnant with my fourth pregnancy. Once again, I was pregnant after a miscarriage and before the due date of the baby I lost. This pregnancy resulted in a healthy baby boy born in the early months of 2010. He is almost 4 ½. At this point, I had been pregnant four times, resulting in 2 healthy boys and 2 miscarriages. To me, there was a clear pattern: miscarriage, live birth, miscarriage, live birth. Like I said, both of my boys were conceived before the due date of the babies I miscarried. If I had not miscarried either of those babies, I would not have the boys I have today. This by no means says that I am glad I miscarried. There is no emotion in this knowledge, just fact. You cannot get pregnant with a new baby while you are 5-6 months pregnant with another. Emotionally, I have two babies that died within weeks of me finding out I was pregnant. Emotionally, I have two babies in heaven that I never got to meet, never got to name and do not even know if they were boys or girls. Someday, I believe I will meet them and know the answers to these questions. This becomes a sticky subject with some and is hard to really describe in words. I think about it all the time and it makes sense in my mind. But let me make one thing clear: My living boys did not replace the babies I lost. They did not replace them at birth and they do not replace them now. Up until this point in my life, I had four children. In August of 2011, I found out I was pregnant for the 5th time. Our oldest son had just turned four and our youngest son was 18 months old. We wanted another child, but our plan was to wait at least six more months before getting pregnant. Things don’t always follow our timeline and we found out we were expecting just a few days after we sold our house. You can read more about that here, The Nudge. I expected to lose this baby to miscarriage. That may sound crazy to some, but I honestly did. Like I said above, I had a pattern of miscarrying before having a healthy, living baby. I had asked my doctor after my second miscarriage if we could do any testing to find out what was happening. Due to my age at the time, they wouldn’t check for any abnormalities until I had miscarried three consecutive times. Once I hit the 12 week mark without any problems, I figured I had reached the ‘safe zone’ with this new pregnancy. As we soon learned, there is no ‘safe zone’ when talking about pregnancy. Anything can happen at any point. This pregnancy was Kyleigh, my 5th child. Now, we have six. Yes, you read that correctly … SIX children! I am just days away from entering my sixth month of pregnancy. Our oldest son just turned seven, our youngest son is almost 4 ½ and Kyleigh would have been just over 2 years old. There is no overlap with this baby. I was not even allowed to get pregnant within the first year after Kyleigh’s death. When I was pregnant with Kyleigh, we had decided she would be our last. We went back and forth for a while, but going into labor & delivery, we were 99% sure that this was it. I say 99%, because in the back of my mind I knew I could convince Rodger to have just one more. The baby that I am carrying now is that baby. If Kyleigh had lived, I would still be expecting her younger sibling. I know this because of what my faith teaches me … “For you created my inmost being; you knit me together in my mother’s womb,” Psalm 139:13. It is my belief that all children are created by God in His time. God has known far longer than we have that we would be pregnant with this child. As I made clear above, my boys did not replace the babies I lost to miscarriage. Let me make another thing clear: The baby that we are expecting does not replace Kyleigh. To think or suggest otherwise is disrespectful to Kyleigh. She is part of our family and always will be. Our new baby is not a consolation prize that God has given us because Kyleigh died. Some of you are reading this and thinking, “I never would have even thought that!” I never did either. Until someone mentioned it to me when I told them I was pregnant. I was so speechless I’m not sure I even responded. My hope is that this person will read this and realize that children are not replaceable. Mothers, fathers, grandparents, siblings … HUMANS are not replaceable. We replace our fish when they die. We may get a new puppy a few months after a dog dies. We do not have more babies to replace the ones who die. At least not in my family! It was actually suggested to me after Kyleigh passed away to just have another baby, then everything will be okay. I have to be honest, comments like these really show how little some people value human life. We have kept this pregnancy quiet from the beginning for personal reasons. We have told people a few at a time, as we were ready to. Recent comments by some who have found out made me ready to share with a broader audience. The comments were upsetting at first. So much to the point that I was done telling anyone our good news and thought everyone else could just wait until this baby is born. After I had some time to think about it, I decided that now is the time to share our news and educate everyone a little in the process. It’s not your typical ‘baby reveal,’ but those nauseate me anyway. Some of you may be wondering about the details of this pregnancy, such as, when this baby is due, etc. Right now, we ask for your patience as we keep these details to ourselves. However, we welcome your thoughts and prayers as we continue on this journey. Pregnancy after loss is a lonely and sometimes difficult place to be. We are excited for what is to come, but also know all too well what can happen. We are trusting God to lead us through this and have faith that He will not leave our side. He has given us the blessing of six perfect babies! If you feel led, we would love for you to walk alongside us by supporting us with your love and prayers. There will never be another Weller Baby #1, Oliver, Weller Baby #3, Garrison, Kyleigh or New Baby!